Christmas in Zagreb. Almost. Goblinette finally made it to the Christmas fair Advent in Zagreb. It was voted best Christmas market in Europe two years in a row. Since Goblinette is attracted to bright blinking lights and loves gluh wine, she had to check Zagreb out. You can only see stalls this empty early in the morning. 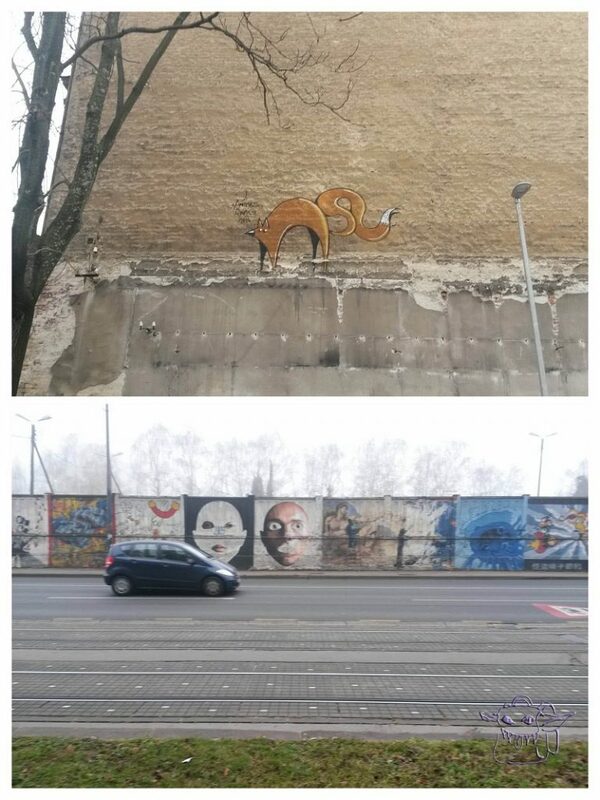 Not all in Zagreb went as planned. In fact, nothing did. We really wanted to take Little Goblin on his first train ride. Destination Zagreb and all its gleaming lights. There should be four adults and one little bundle of goblin joy. We planned two different weekends before the start of the ‘before Christmas and New Year countdown’ tourist chaos. But, little bundle of joy was sick on one weekend and the other member of the planned dream team was busy on the next. There is limited amount of weekends in a month so two brave souls decided to embark on the epic journey by themselves. 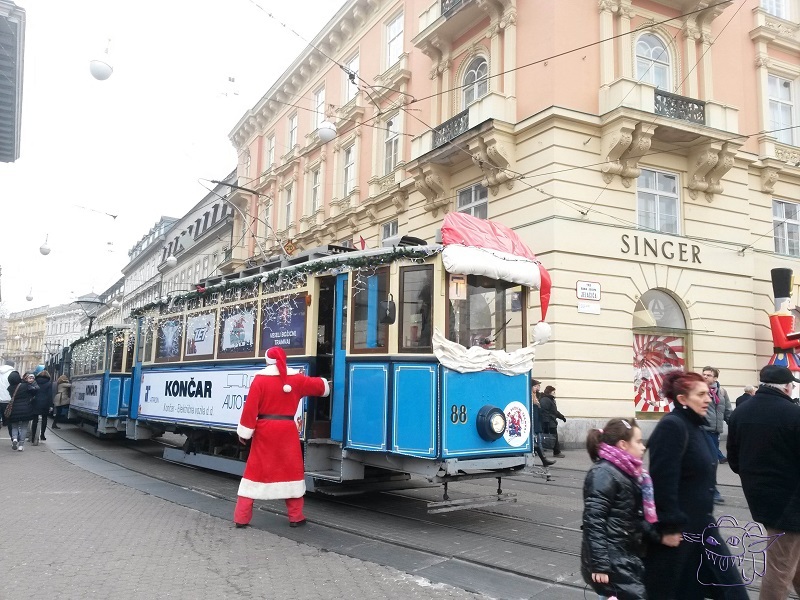 In Zagreb Santa drives the Christmas tram. Zagreb before Christmas is so pretty. All the lights. All the food. Did I mention the lights? If you are into Christmas markets, Zagreb is the place to be. Zagreb Advent is a magical place, fabulously decorated, very lit up and full of small gastronomical chalets with local treats. Even if you try to taste all the different sausages available, you will be very busy. There are also fritule, rakija, chocolate kebabs, local stew golaž and much more. Since there are so many different venues, Zagreb Advent map is mandatory. Sadly, there weren’t many Christmas signposts in the city. While we were visiting Winter wonders in Brussels, there were signs everywhere. In Zagreb, without the map, you are lost. We managed to miss almost all the stalls with the trinkets, souvenirs and pretty little kitsch that makes us all warm and happy inside on other Christmas markets. There were some on Trg Bana Jelačiča, but far from enough. We found a copy of Zagreb times in Croatian with maps and locations of trendiest stalls when we were almost on our way home. Take the train to Zagreb Advent market, they said. It will be fun, they said. We did. We took the train. While party animals of Ljubljana were slowly and unsteadily returning home from Friday nights drinking and scantily clad ladies were getting into morning cabs home, we were boarding first morning train to far away Zagreb. A little more than two hours away, with extra slow train. Ride there was mostly uneventful. Trip back was special. While people chose to get there with three different trains on different times, we all decided to go back to Slovenia on the same one. We waited for nightfall, made some last photographs and had last hot wine before trip home. The train was approximately one hour late and packed. I guess there is no limit to how many people can go on an Inter City, as long as they all manage to squeeze in. We had fun, sitting on the floor chatting until conductor had enough of constant climbing over adults and children and lost all his Christmas spirit. Train station is ugly, but you can find great grafitti along Ul. Kneza Branimira very close to it. Zagreb’s train station is not the most enjoyable place to be in winter. Half of the available benches were booked by local homeless trying to stay warm. Smell in the corner of the only room with sitting indicated it is often used as a free toilet. There is perfectly good toilet outside for 4 kune which equals approximately 50 euro cents. For less broke travellers there is huge underground shopping mall 200 m away. In Importanne centar we found heat, coffee and did some shopping while waiting. Friendly waitress also charged my phone. Cold, cute doggies and Christmas spirit. Collection tin was filling up fast. Zagreb takes pride in its numerus great museums. We loved and wrote about Museum of Broken relationships here. This time we tried to visit Museum of Illusions. Bad idea. The line in front of the building was unbelievable. During Advent in Zagreb event city is overflowing with tourists. Most museums were so crowded we changed our minds. They will probably still be here next time. 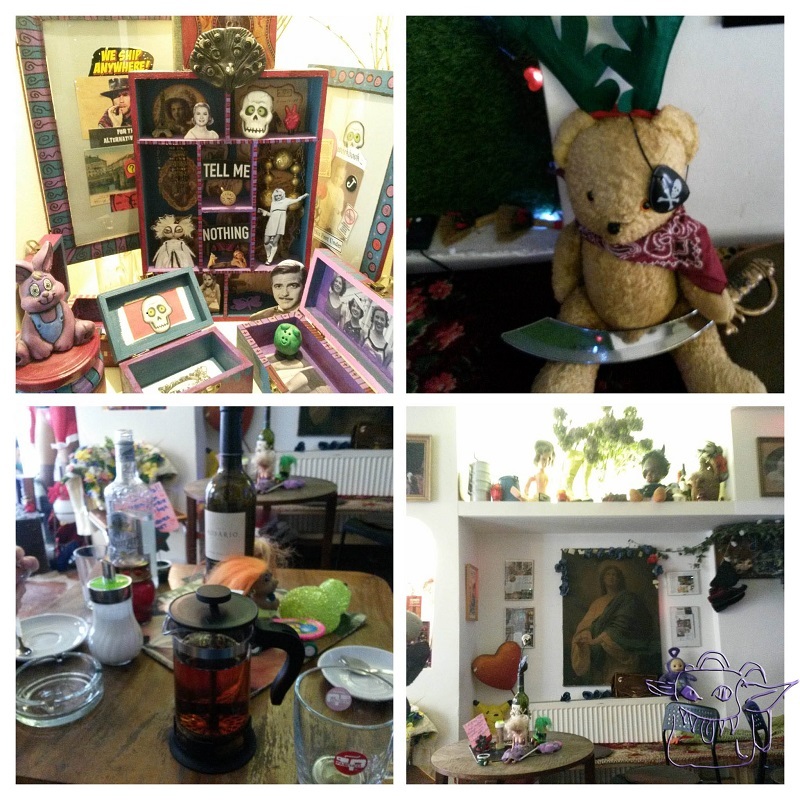 Quirky cafe where we escaped from the cold. Would love to know the name. It is close to museums in Upper Town. While sprinting to the next wagon my wallet decided to fly out of my pocket and land somewhere on the platform. No big deal except for the train ticket and my id. 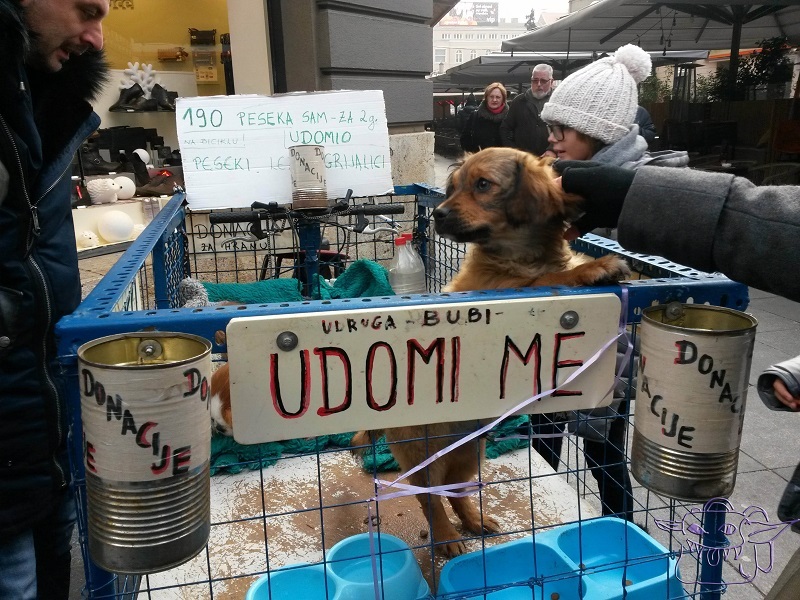 Miraculously, one of my fellow Zagreb Advent Christmas market enthusiasts picked it up and went from wagon to wagon, searching for me. Reunited with our combined two person train ticked and my documents we were able to cross the border and return home. 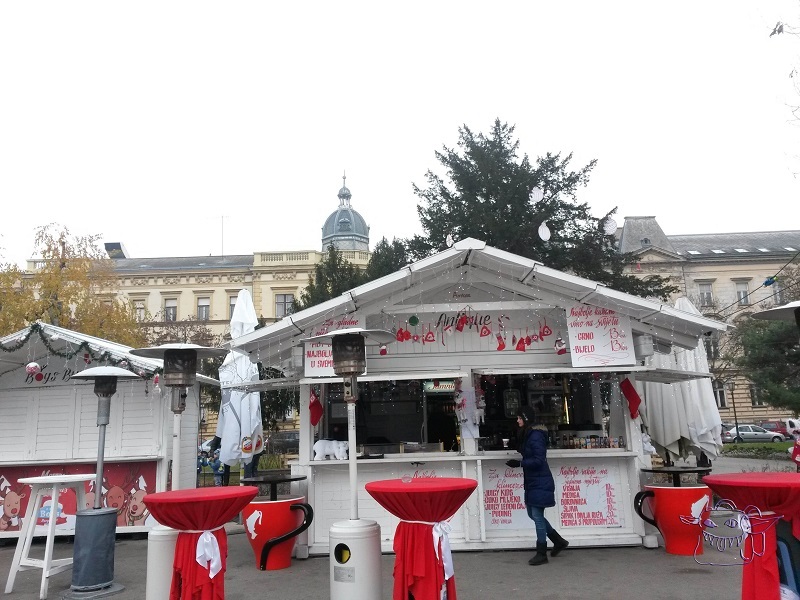 Want to see Advent in Zagreb Christmas market? You are not too late. Stalls will be there until 8.1.2017. Since goblins love to travel, but usually do it on a budget, we use Airbnb. By using this link to subscribe, you get 30 euros of your first trip, and we get a little discount on our next. If you are not into Airbnb, there is a Booking.com banner on the right side of our page. Travel as much as you can. 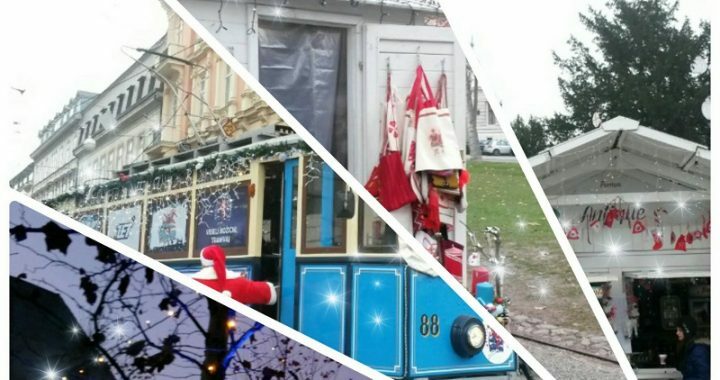 Posted in Europe, Travel smart, Travel with kids and tagged Advent, Christmas, Croatia, train, winter, Zagreb.